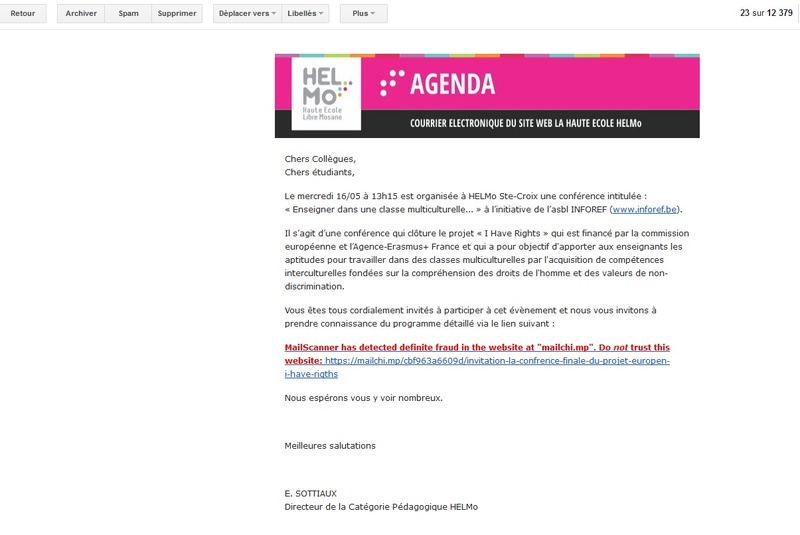 The invitation to the Multiplier event was forwarded to all teachers and students (future teachers) of HELMo Sainte-Croix. There are over 1000 students there. Very large dissemination to an audience that is particularly concerned by the project topic, as they will soon be teachers. Several people have registered to the conference following this mailing.